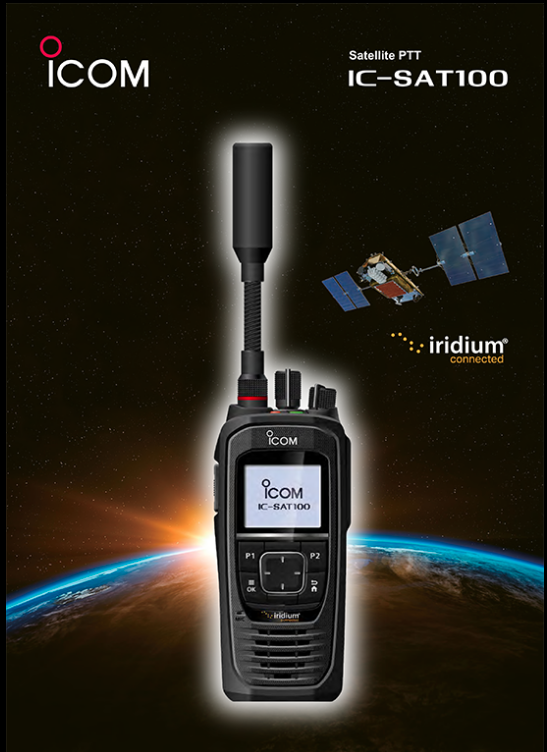 Video introduction from Icom Inc. to the IC-SAT100 which is Icom’s first Satellite PTT handheld radio that uses the Iridium satellite communication network. Unlike satellite phones, the IC-SAT100 will provide radio service to users with a push of the transmit (PTT) button. It can be used as a communication tool in remote, isolated areas where there are no mobile phones or landline network infrastructure, such as mountainous areas, remote islands and desert areas. Even if terrestrial network infrastructure is rendered unusable by human or natural disasters, satellite communication can provide a stable backup.